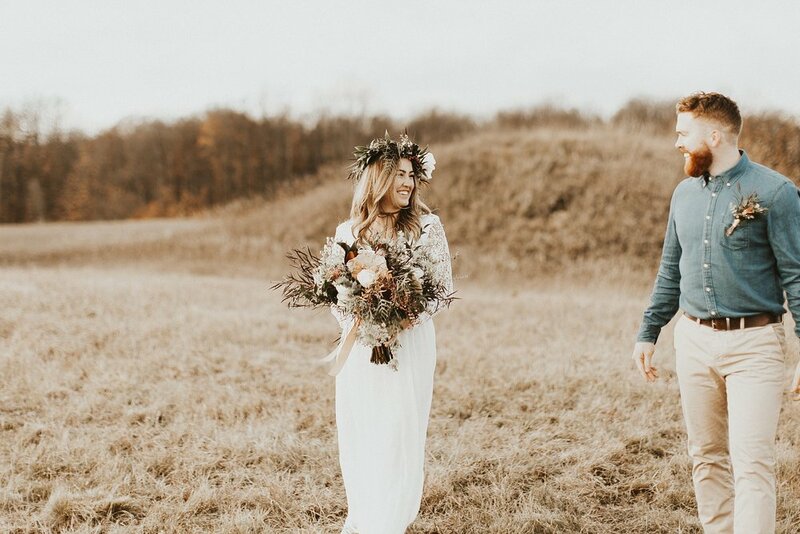 This summer I started dreaming up a styled shoot as an outlet of creativity and just to make work more fun. 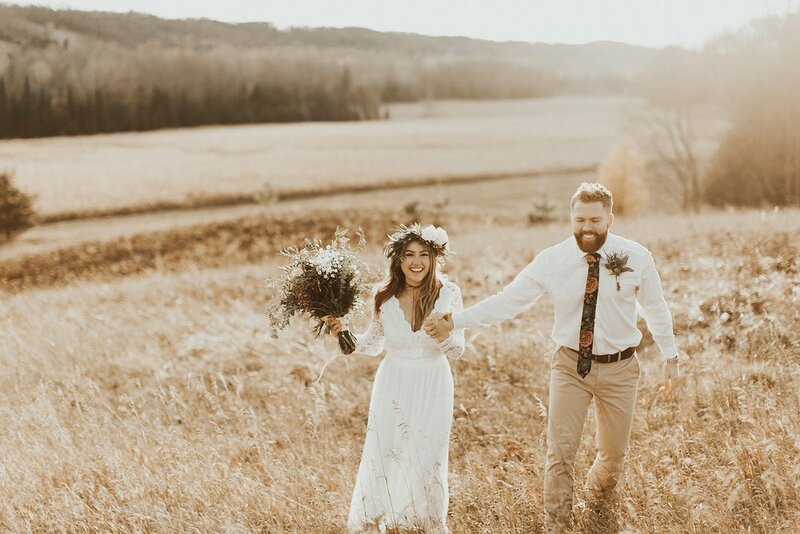 I wanted to create some inspiring photos for future clients and brides, and for local vendors. 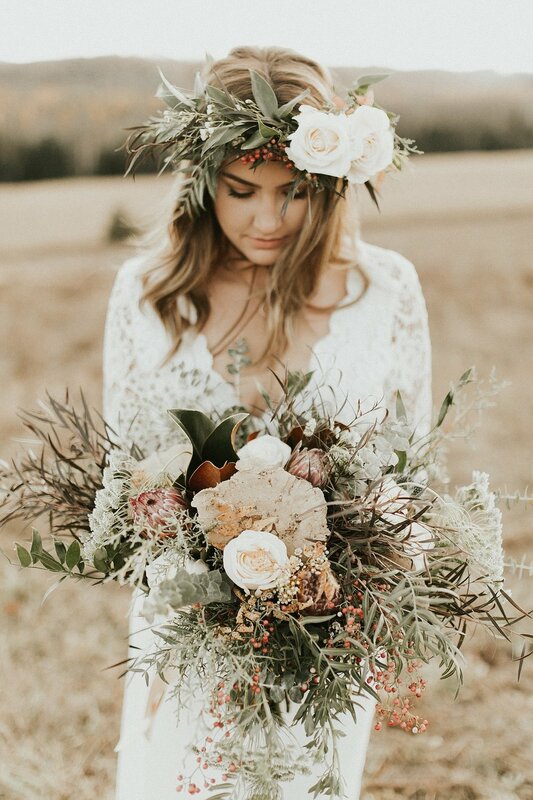 I began working with a local florist, as well as one of my best friends who does wedding makeup and hair on the side, and we decided to turn our dreams into reality by styling a fall bohemian styled shoot. 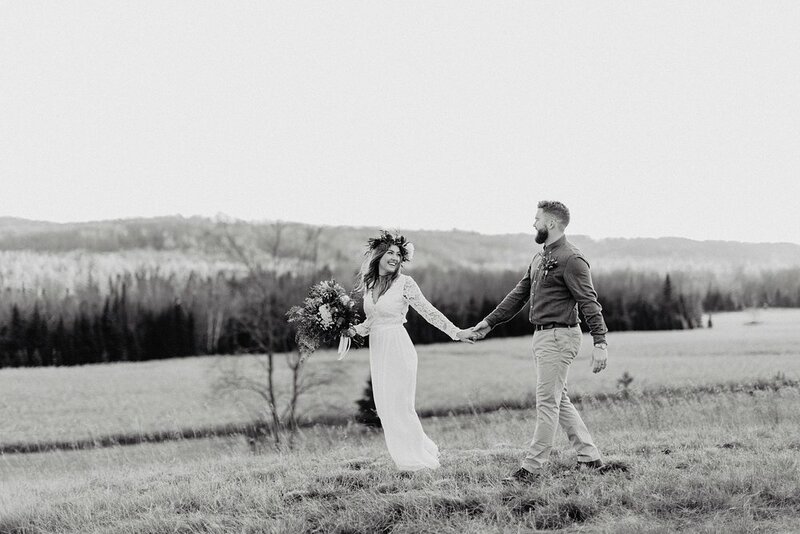 Rachel, the model, and her husband, Nick, were married a few years ago and they are dear friends of mine. We go way back and they are the cutest! 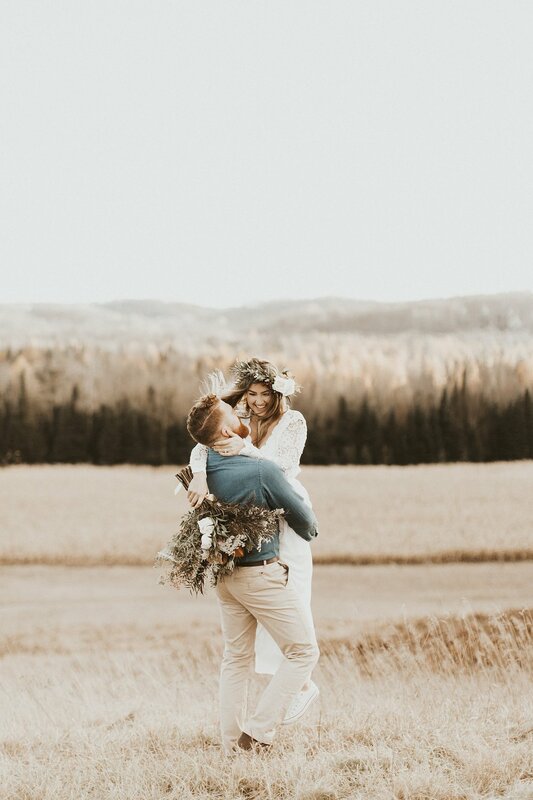 Jamie, the florist I worked with- was AMAZING and couldn't have done a better job putting my dreams to reality with the florals. 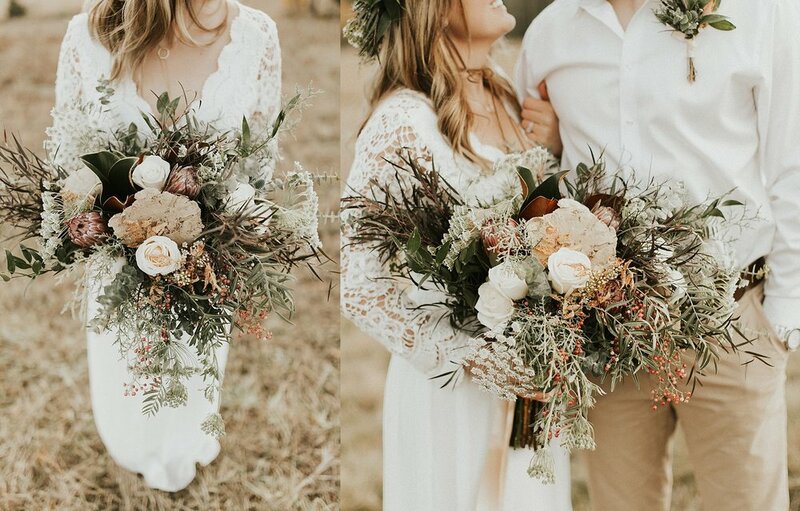 I am still obsessed with them and it might be my favorite bouquet I have ever shot. 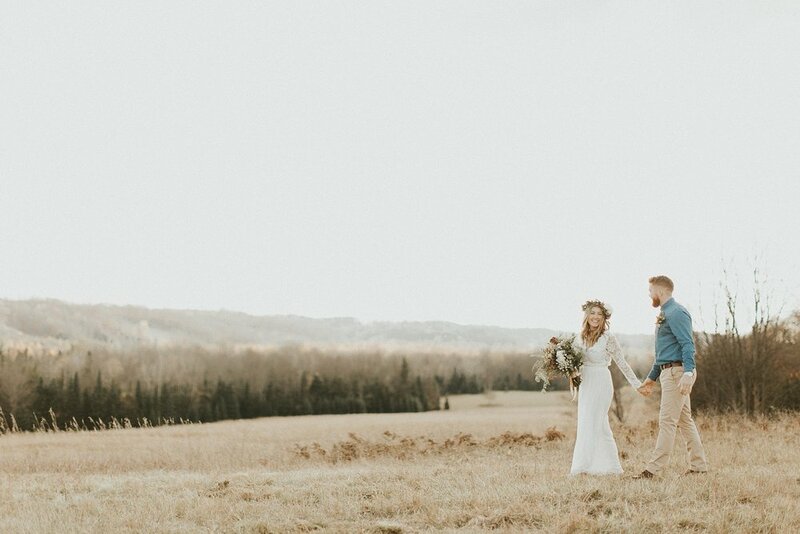 This session was on Nick's family land, which is full of rolling hills is gorgeous to shoot on. 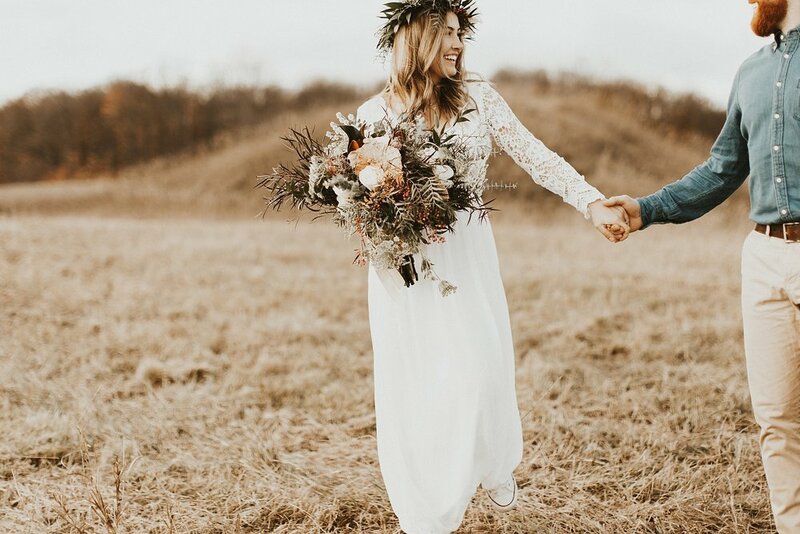 I bought the dress just for this session, wanting long sleeves and lace to complete the look. 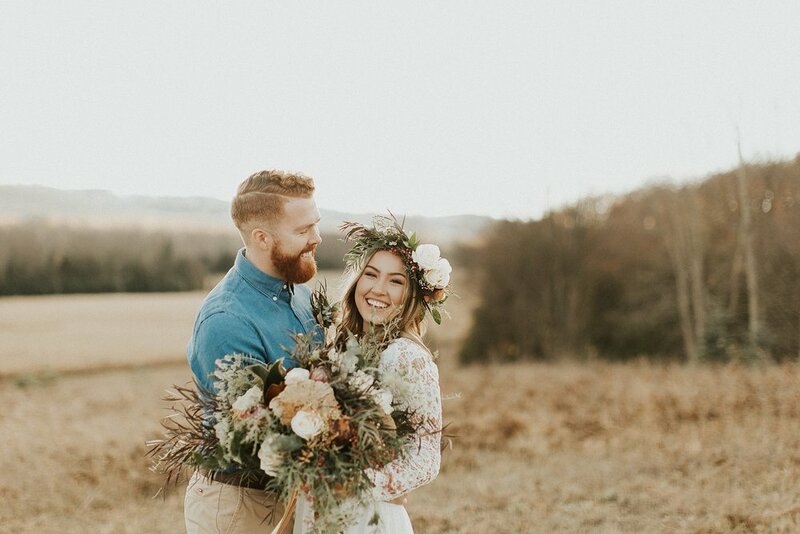 I was so proud of them for braving the 30 degree weather for these photos and my favorite part was just seeing how much fun they were having together "marrying each other" again. 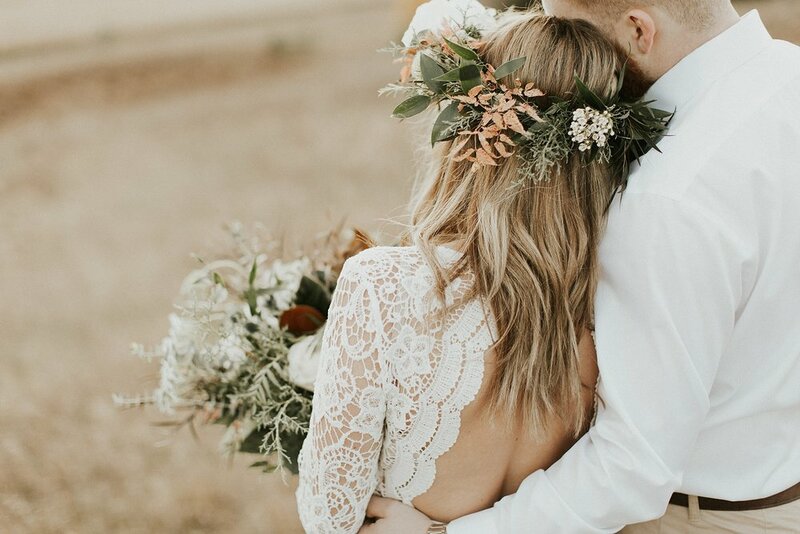 My advice for brides planning this look: Wear your hair down with this look, I always think it is SO beautiful especially when wearing a floral crown. 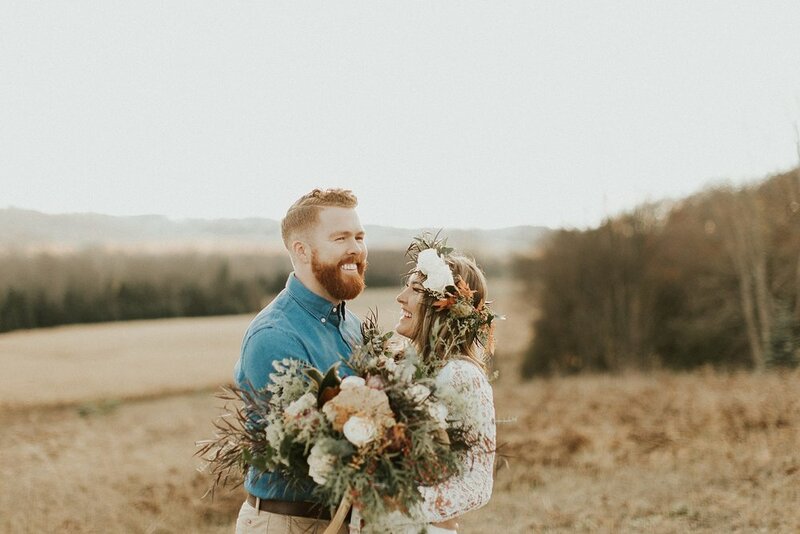 I love how hair blowing in the wind, add so much to the photos, and has an imperfectly perfect look. 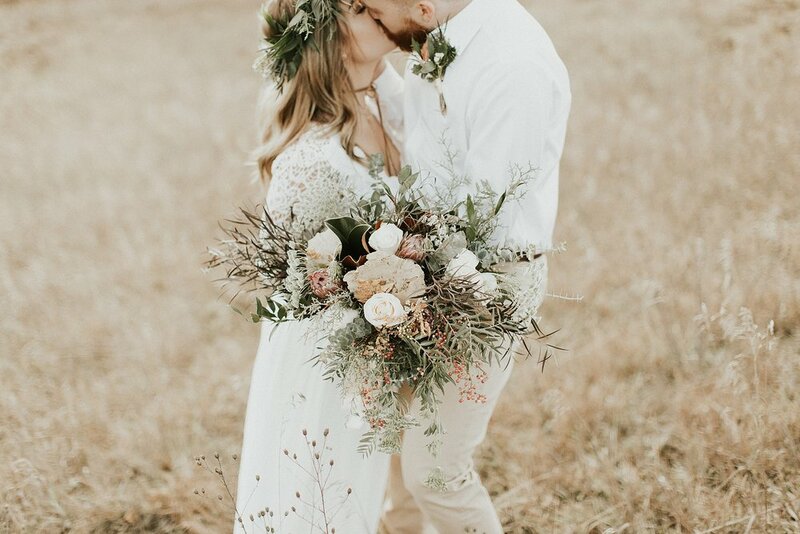 Also emphasize to your florist about having a large, organic and overflowing bouquet with a lot of natural greens and pops of protea and even adding an accent natural colored accent piece like in this bouquet. Advice to grooms: Try a fun different color shirt to be different, or a classic relaxed white one for a more airy look. The natural colored pants look gives this look a very relaxed vibe as well.